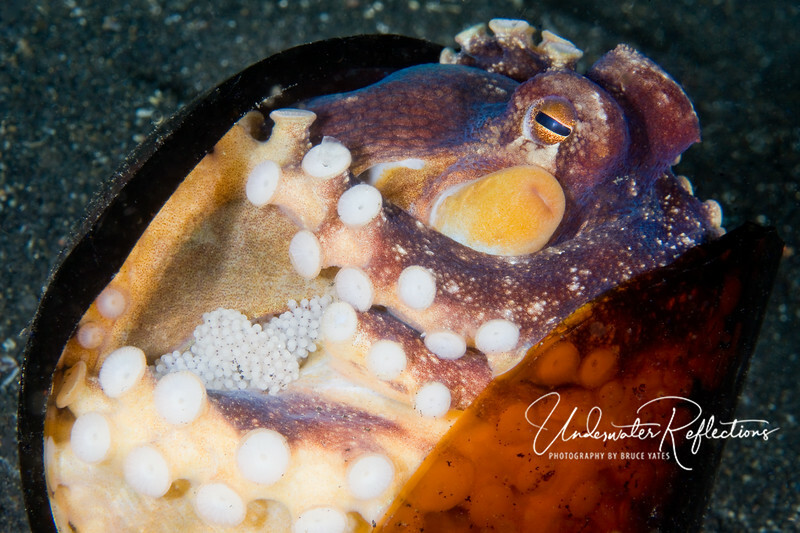 Coconut octopus like this one generally use broken coconut shells as "homes." They live in the biggest part, and pull smaller pieces over the opening as a way of hiding. This female is really too big for the beer bottle she's using (holding the piece at right to try to close herself in), but since she has eggs - clearly visible at left), she still needs something in which to hide...so she's doing the best she can.